The Necco factory, which manufactured Sweethearts, closed its doors in 2018. 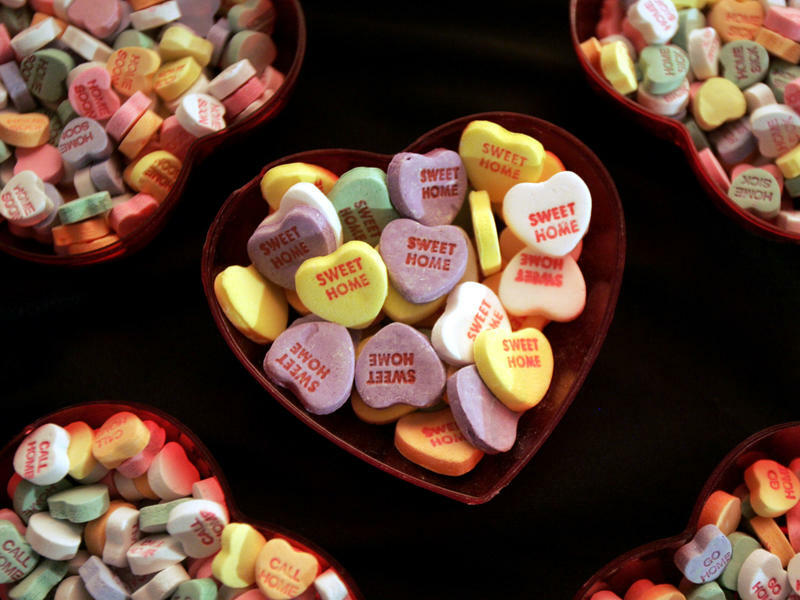 This Valentine's Day, I am heartless, a condition that also describes New England Confectionery Company, or Necco — the maker of Sweetheart candy, those small, chalky, heart-shaped confections that flood candy counters this time of year. Last year, consumers coughed up $180 million for such sugar-engraved sonnets as "Be Mine," "Wait for Me" or "Call Me." And like so much when it comes to looking for love, it apparently wasn’t enough. Necco abruptly closed its doors. A few months later, it was purchased by Spangler Company. But it was too late to for cardiac resuscitation in time for Valentine’s Day. That left a Sweetheart deficit of about 8 billion tiny candies, and a clamoring market of love-besotted adults and clueless elementary school students, like I was. I can remember the day when a certain second-grader marched up to his cubby desperately hoping for a valentine from Penny Frankel and found …none. Well, one. From his mother. Even decades later, I can recall the twinge of trudging home from school clutching that single Valentine only to be greeted by a candy dish full of the pink and white hearts announcing, "Wait for Me." A bittersweet pill to swallow and nowhere close to mending my broken 7-year-old heart. Like love itself, the candy was both too hard and too sweet; and a grim reminder that for the Mr. Lonelyhearts, love was hardly waiting just around the corner. All of which was enough to sour me on Sweethearts forever. Later, with the world of candy hearts a dim memory, I found true love not in a dish or at a bus stop, but in the usual bumbling, stumbling way that passes for experience. For this, I was rewarded with three daughters — who never asked, and would never have accepted, a word of my advice on romance. Still, I'm glad Spangler announced plans to relaunch Sweethearts for 2020. Robert Chipkin lives and writes in Springfield, Massachusetts. This Valentine's Day is going to be a little less sweet. SweetHearts, the colorful, heart-shaped candies with sugary messages like "Kiss Me" and "My Love" will be scarce this year. If you're lucky enough to find them, they'll be from last year's batch. Happy (belated) Public Domain Day! Welcome, public, to 1923! Welcome, 1923, to the public domain! The Lunar New Year, with its myriad of superstitions, can stress an American-born Asian like me. I show my classes a picture of a bottle of Budweiser, and in the way they respond to it -- Budweiser, ugh! -- it strikes me that the landscape of American beer has changed a lot in the 20-odd years since I reached legal drinking age.